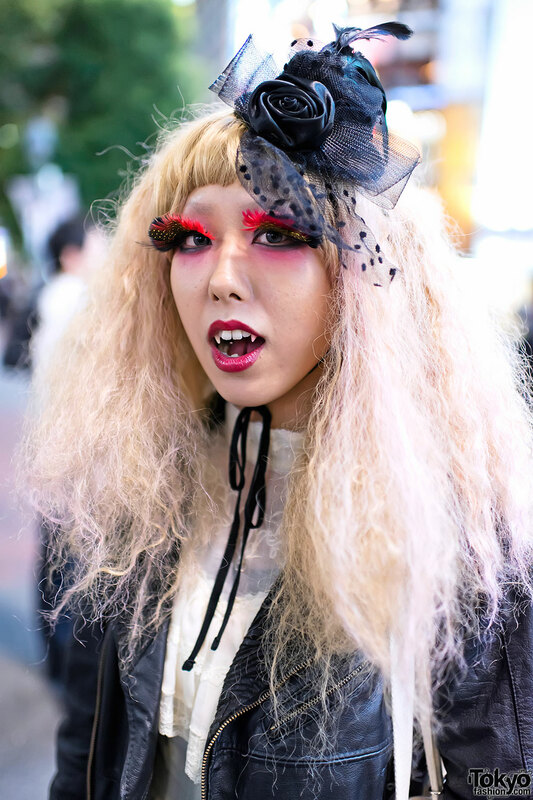 Harajuku girl in kawaii mixed prints fashion while out and about the neighborhood. 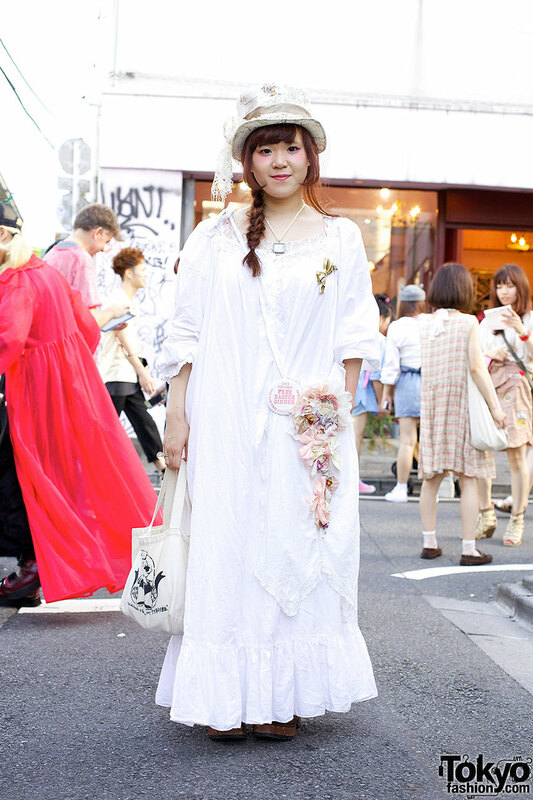 Maxi white dress worn with a white Winnie The Pooh hat and pastel accessories. 20-year-old Harajuku girl with bright blue hair, big glasses, a teddy bear necklace, and Winnie the Pooh backpack. 20-year-old Japanese student wearing a Zara leather jacket, Sly blouse, H&M denim shorts and resale loafers on the street in Harajuku. Two pretty Shibuya girls – one in shorts and the other in a leather jacket – near Center Street. Pictures of the fashion being worn by people at the Chinese Lantern Plant Fair at Sensoji Temple in Asakusa in July of 2009. It’s not modern Japanese fashion, but clothing inspired by traditional fashion – and Winnie The Pooh.